You know your skin better than anyone. And even when you take great pains to protect it from the sun, you need to be vigilant about and attentive to any irregularities that show up. Moles happen in many places, and they happen to most people. They’re common, and a lot of them can be completely fine and not a threat. That doesn’t mean you shouldn’t take a close look at them, especially when you notice any new ones. What types of moles should I be concerned about? What should I be looking for? Asymmetry — When you look at the mole, would it be a mirror image of itself if you split it in half down the middle? A circular mole is a benign mole, but something that is misshapen should be seen by a doctor. 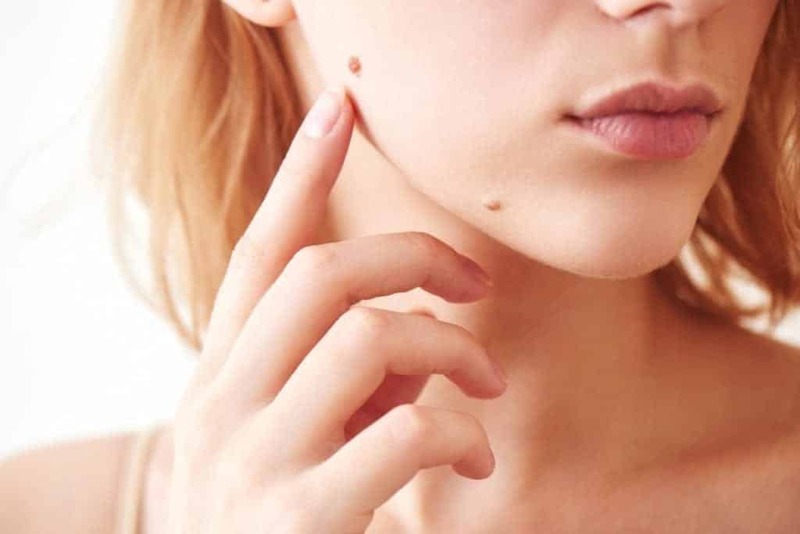 Borders — If the outer edge of the mole is smooth, it is likely benign. But irregular textures or curves on the border can signify possible melanoma. Color — Moles aren’t pretty, but if they are a single color throughout, they’re probably nothing to worry about. It’s the different shades and striations in a mole that should raise concern; if there are blacks or reds showing up next to browns, a doctor should assess it. Diameter — The size of a mole is telling. Benign moles are round and small, but melanomas can grow beyond the size of a pencil eraser. “Grow” is the operative word here, which means that when a new mole shows up, it’s important to keep an eye on it before it gets too large. Evolution — It’s not just size that you should keep track of. Change in color, texture, or even sensation in any moles can be the sign of a developing melanoma. Just don’t take chances if any new symptoms become apparent. Doctors have developed the “ugly duckling technique” to identify potentially threatening skin lesions. Because you can have moles in different parts of your body, another way to be proactive about melanoma prevention is to look at the ones that seem different from the others, as a result of any of the ABCDE signs or not. How often should you get checked, and at what age should you start? 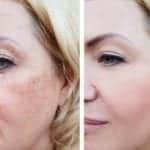 It’s quite easy to do a simple once-over on yourself every month, just to make sure no moles have developed without you noticing. But a regular melanoma screening with a dermatologist is a good idea to schedule once a year. If there’s any history of melanoma in your family, you should take that as a sign to be extra vigilant, and start getting regular checkups in your 20s. But really, it’s worth it to make sure this is a consistent practice for anyone, at any age. There’s no way to fully prevent your risk other than never going outside, so just make sure you see a doctor at least once a year. What is being included in a comprehensive skin check visit? Most actual exams won’t take longer than 10-15 minutes. Some doctors will do a full-body exam to assess any problem moles, and if they find any, they may do a biopsy right then and there. Almost every dermatologist you see will explain how important it is to protect yourself against UV rays, with broad-spectrum sunscreen. Prevention is key, but for skin that has already been exposed to the sun, there are some other options to reduce the risk of melanoma. DNA repair enzymes have been proven to be effective by, well, repairing the DNA in skin cells that have received sun exposure. The body has natural enzymes that can help fight damage from the sun, but it produces less of those as you age. Repair enzymes are creams and lotions that can be spread over damaged areas to reduce the risk of wrinkles and spots, but also can work some DNA magic by reversing your body’s tendency to produce free radicals, which cause detrimental changes to the skin.